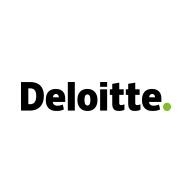 LRA, a Deloitte Business helps our clients protect their brands, deepen their customers’ advocacy, and helps to strengthen their reputation through our end-to-end approach to Customer Experience Measurement. Our global capabilities position Deloitte to help our clients minimize the risks to their brand and reputation across their portfolio. Our multi-dimensional strengths across strategy, risk management, and analytics enable tailored design, implementation, and management of solutions that deliver a competitive advantage in customer experience. We are seeking a Technical Lead role who will primarily support the client implementation process by configuring Deloitte’s TrueView platform to support our client’s evaluation / inspection programs. Additionally, this role will be responsible for designing, testing, and supporting the application/reports. The ideal candidate’s work primarily consists of meeting with internal/external clients, software configuration, report/visualization design, testing/validation, and performing end-user training. Also, the ideal candidate for this position will be self-motivated and have experience developing solutions. This person will be a subject matter expert on Deloitte’s TrueView platform, and be able to utilize that knowledge to meet our client's needs. This person will be responsible for completing all assigned tasks on time and to specification. The Technical Lead role will take direction from one of the Product Leads on the TrueView team. Your goals and objectives must align with LRA’s core values: courtesy, professionalism, responsiveness and a devotion to client satisfaction. Actively work with new and existing clients to implement TrueView technology.